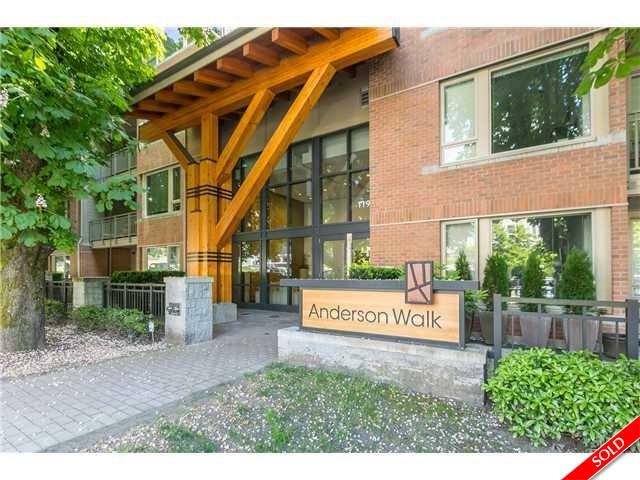 Bright 3-year-old (with 2-5-10 warranty) 2 bed/2 bath with city & mountain views at Polygon's Anderson Walk in Central Lonsdale. This well-cared for 820 sqft unit is a west-facing outside unit with a huge balcony. Open plan concept and gourmet kitchen with SS appliances, oak cabinets, gas cooktop, granite countertops & glass backsplash, plus 1 parking spot and a storage locker. Amenities include ensuite laundry, walk-in closet, fully-equipped fitness studio, guest suite, social room and a resident manager. The pet-friendly Anderson Walk complex is steps away from vibrant Lonsdale & great restaurants, shopping and easy access to transit & downtown. Perfect for young families looking for a 2nd bedroom.